This quote just happened to be on my tea bag this morning. I find it quite ironic how this journey inward has already started and will only be intensified as this path continues. People ask me how I feel about this trip and my usual response is "It depends what day it is". My emotions bounce between excitement, gratitude, un certainty, sadness, and fear. Excitement because it's going to be an incredible adventure, gratitude because I am so thankful for this opportunity, uncertainty because I really don't know what to expect, sadness because I am going to miss all the wonderful people back home and fear because...well i'll just come clean now, I don't like bugs and I am a bit (maybe more than a bit) of a hypochondriac. Yes I know what your thinking...Africa? It's okay, for I have come to the realization that this trip will force me to deal with my fears. (Either that or make me crazier...(if that is even possible) So am I ready? I think so! I am preparing myself one day at a time. 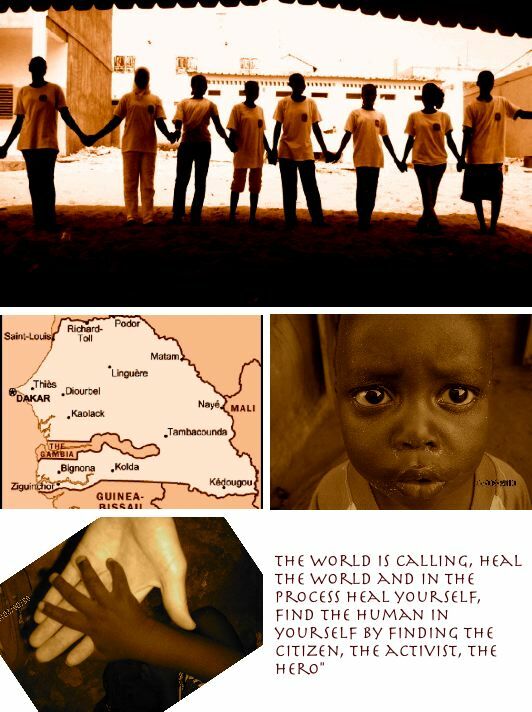 I will be flying into Darkar, Senegal on March 10th. I will then be taking a 2 hour bus ride to the city of Thies where I will live for three months of training. It is during this time that I will learn about the local customs, language, and of course how to better camouflage my tall 5'9 white self. I am looking forward to receiving letters, though they do take a couple of weeks to get to there. I will list the address of where I can receive mail for the first three months. Please write (or send peanut butter :) ) It would be awesome to get letters from back home, especially because this time will be the most intense. Thank you for reading and if you want to get an email when I blog, please subscribe. Congratulations on your travel and experience in Africa Jenae, especially my country Senegal.